Located in the heart of Philipsburg, this guesthouse is within a 5-minute walk of Museum of Sint Maarten and Great Bay Beach. Cyrus Wathey Square and Philipsburg Courthouse are also within 10 minutes. A convenience store and free WiFi in public areas are available at this guesthouse. All 14 individually decorated rooms feature free WiFi and balconies. 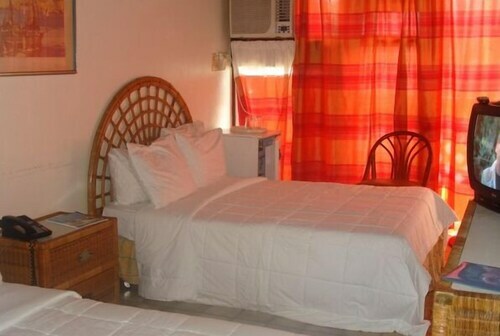 Guests will also find cable TV, refrigerators, and coffee makers. Joshua Rose Guest House features a grocery/convenience store. Public areas are equipped with complimentary wireless Internet access.